The otherworldy musical stamina, athletic grace, and dedication of Beyoncé Giselle Knowles-Carter is common knowledge, so it is no secret that Queen Bey is the physical embodiment of the phrase “the show must go on.” When Beyoncé and her incredible crew of dancers, musicians, and stage techs reached the Raleigh, North Carolina stop of the Formation World Tour, they were no doubt ready to collectively slay the audience. Until a rainstorm foolishly thought it could subdue the power of the Queen. 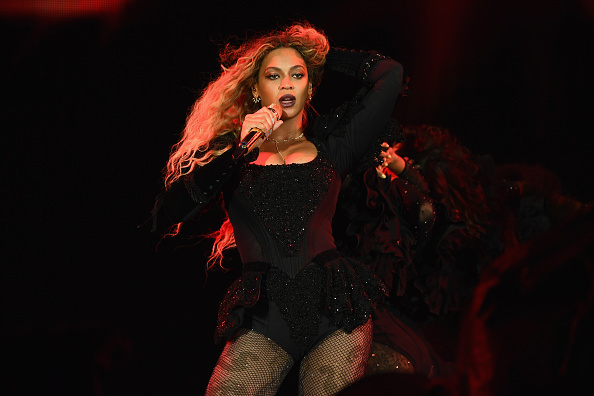 The night was certainly hectic — with halted performances, crowds restless with anticipation, and dedicated performers (INCLUDING BEY OBVIOUSLY) forced to wait to give their all. And yesterday, Beyoncé’s Facebook shared a mini-documentary — coming in at 2 minutes and 39 seconds — providing fans with a fascinating behind-the-scenes look into how Bey and her crew handled the obstacle. The short answer is that Beyoncé dominated the natural forces of the earth to serve her devoted fanbase with the greatest concert of their lives. "And if it rains, Lord... we're gonna make Lemonade out of these lemons." As thunder roars, the doc cuts to everybody waiting backstage — turns out Bey and her people were pulled off stage to protect their safety and now have to wait 30 minutes for the storm to clear. LOOK HOW SAD OUR QUEEN IS BECAUSE SHE CAN’T IMMEDIATELY DELIVER TO HER BEYHIVE! We next see clips of Bey stans who are desperate for their Queen to return for round two — and we can only imagine how thrilled this fan is to see his cameo in the mini doc. Watch the whole thing to get a glimpse of Beyoncé’s eventual slayage in the face of rude af weather!! !